Sorry, I haven't been able to vote in recent rounds...too hard to decide! I'll be back, eventually. Anyway, is it just me or is Paul's vocal on the Let It Be version of The Long And Winding Road the worst Beatles lead vocal ever?! if you listen closely, it's clear how much he's struggling. He actually sounds old, at times. This version is from Jan. 26, 1969 and is also available on Anthology 3 without Spector's changes. I find the version on Let It Be...Naked to be vastly superior, vocally. That was the final take on Jan. 31st (which also appeared in the film). The 26th was just a run through, it wasn't a final attempt to record the definitive version, and it shows. John's bass playing is also far better on the ...Naked version. I have mixed feelings about the Naked vs Spector versions. 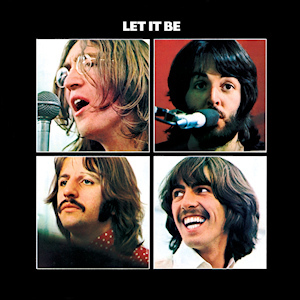 On a few songs I actually think the "overdone" Spector arrangements work well - particularly on Let It Be, which naturally seems like a gospel-type song you would want to sing with a gospel choir bursting out in the background, so here I think the Spector version is great. Long and Winding Road I think I agree with BE that the Naked version is better. Anyway, I could go on for a long time about Across the Universe. Let's just say that I think my brain's default mode is to having Across the Universe going through my head. In fact, more than any other song I have ATU going through my head (with "These Dreams" by Heart close behind), and I think when my brain has nothing else to think of, it gets ATU going through it. I am pretty sure on my deathbed, the last thing going through my brain is going to be Across the Universe. I do prefer the naked version as well. Sequence is better, production sounds better (the Spector version sounds so dated), the leads are better. It’s just an all round better version. It would be. Do it! 12 votes spread across 4 tracks! The Long and Winding Road has hit a road block, put up by 5 smilers! Eighth round is a tough. Two songs I like equally. One is more iconic and one is more interesting, musically. Looks like Across the Universe won't be going for a bit longer, I'll go with I Me Mine this time. 11 votes spread across 3 tracks! 8 smilers overwhelmingly voted (very selfishly*) for I Me Mine. Ninth round is easy because my vote is a left over from round 8. Powered by SMF 1.1.21 | SMF © 2015, Simple Machines Page created in 1.076 seconds with 21 queries.